congrats on the 11 sec slip! So now you did it! Do you think a Dutt Neck is next or what is your next move? Sounds like you have the potential to set the record for fastest stock turbo... The RJC pullies are a worth while investment as well. 9 lbs of rotating mass has gotta be worth a few tenths/mph. You wont get much more boost out of that turbo, but there is potential else where! I think with pullies and a dutt neck would put you down around 11.4-.5. Also if you're running on stock rims there is a ton of rotating mass to be lost there as well! I was thinking if I should go for the stock turbo record. If I did it would be, pullies, bigger intercooler, converter, probably some head work. I'd still would like to do it on pump on radials. You have a lot of time into it . 4L80E ,3500 stall ,lots of custom tuning w/stock ECM.up to 27 PSI,but IIRC,they ran 24 ish on the record run. I am shooting for the 11's when I get a chance to go to a track,but w/a 20 G turbo. That's awesome. Never knew about a stock turbo Syclone record. My engine was all 100 % stock long block,no methanol inj,it had a chip ,afpr,cold air intake,255 HP walbro,aux cooler (water radiator for intercooler),3" catback exhaust sys, stock downpipe.stock converter,stock trans,all else pretty much stock.. I ran 18 psi of boost pressure. That's awesome on no meth and such low boost. Good to hear about the Syclone's. I do need a work truck soon, hmmmmmm. love the porting work want to say thanks. 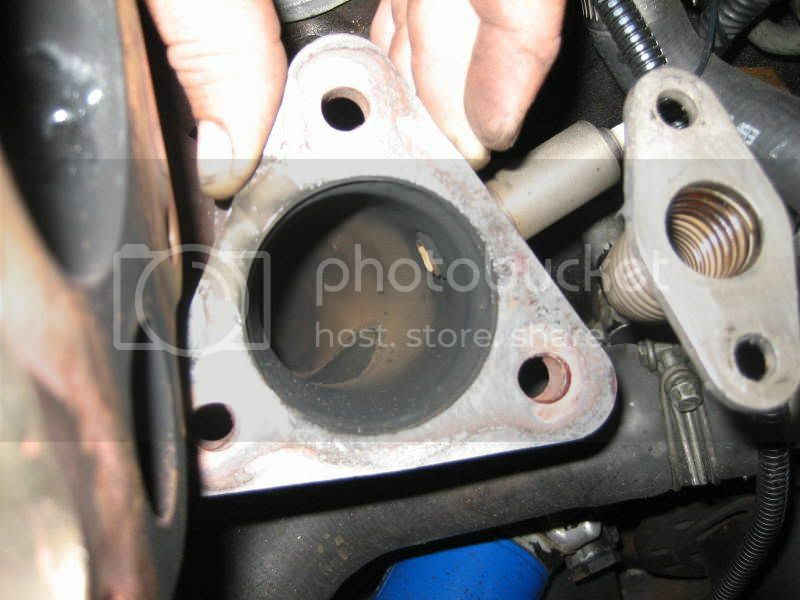 Did you match the gasket to the exhaust manifold's out let. How thick are the edges near the top (according to your pictures). If I take mines all the way to erase the carbon mark it would leave my walls on that same top section about 1/8 inch think. Today I worked on the turbine housing and finished up the exhaust manifold. 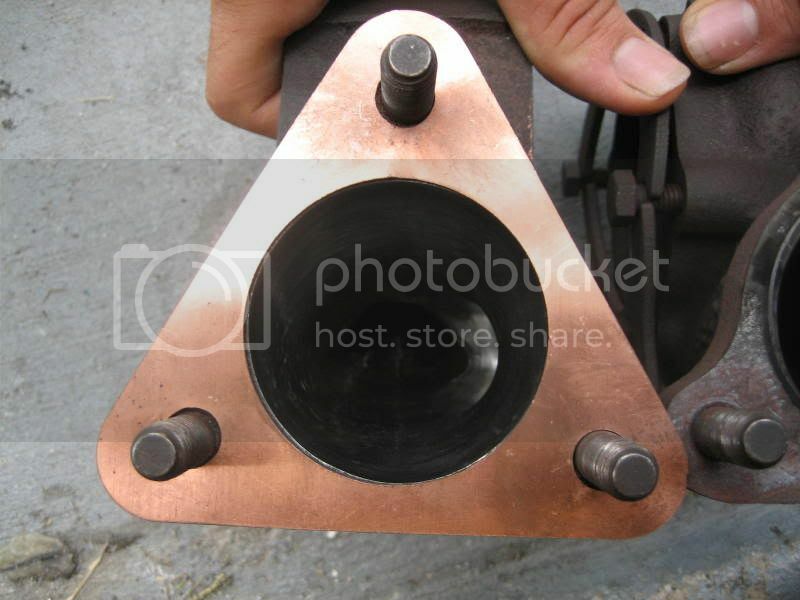 I used a copper turbine to manifold gasket as a template and ported away. On the right is the stock housing inlet, on the left is the ported one. 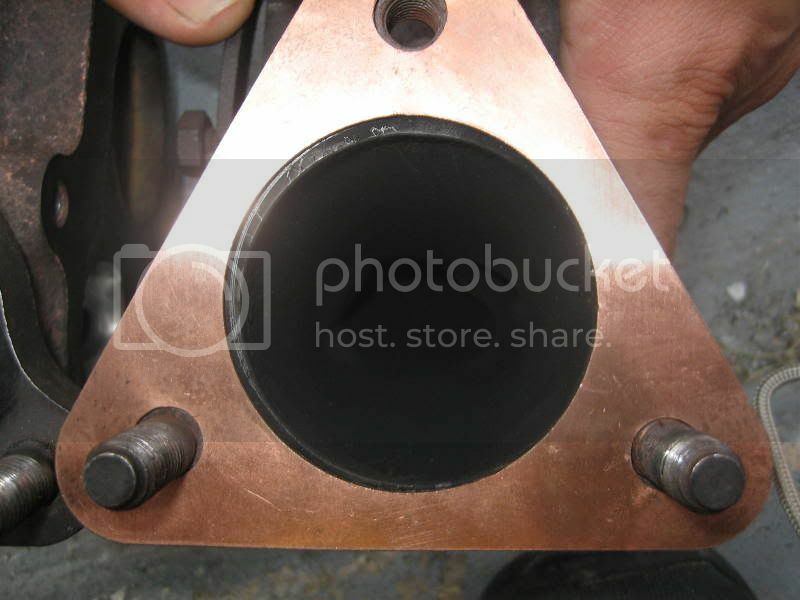 This pic shows the stock housing with the copper gasket revealing the ridge that the air sees coming out of the manifold. Here is the ported housing, no ridge to speak of. A shot of inside the inlet of the housing. 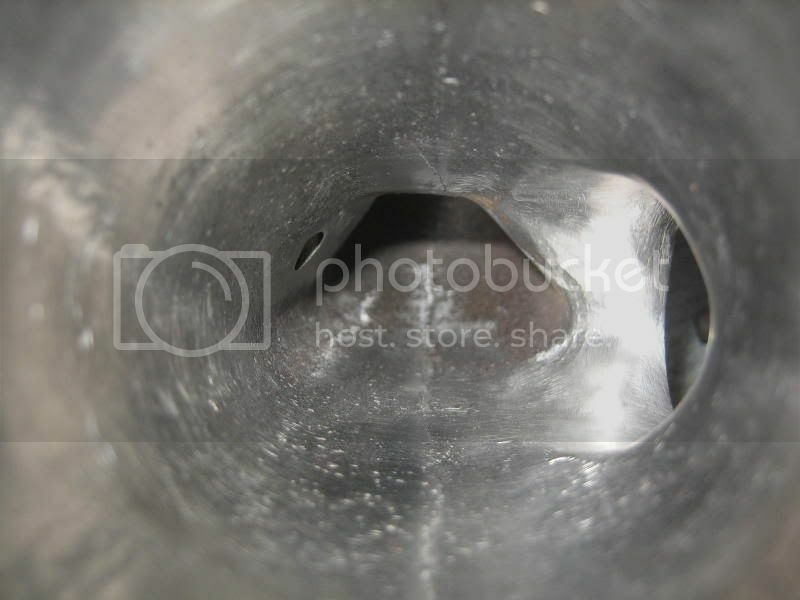 Another thing I did was radius both sides of the wastegate hole. That should help some with air flow. Here is a shot of the manifold flange. I used a belt sander with 50 grit to get the surface nice a flat. Hopefully I'll have no leaks. If I recall, I didn't have to gasket match the manifolds, I just cleaned up the inside weld on it. I didn't measure the wall thickness, but judging by my pictures, it's most likely over 1/8". 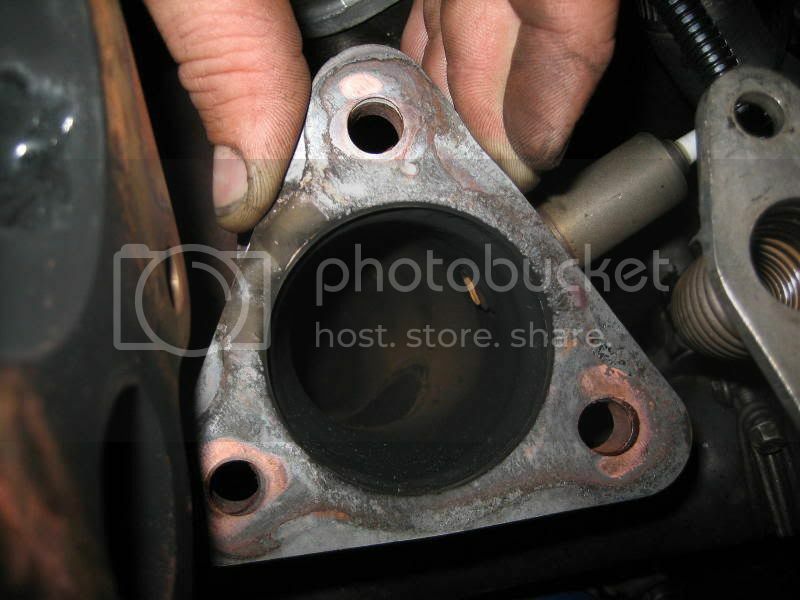 Did you take that same gasket (turbo to header gasket) in the pictures above and match it to the exhaust manifold? 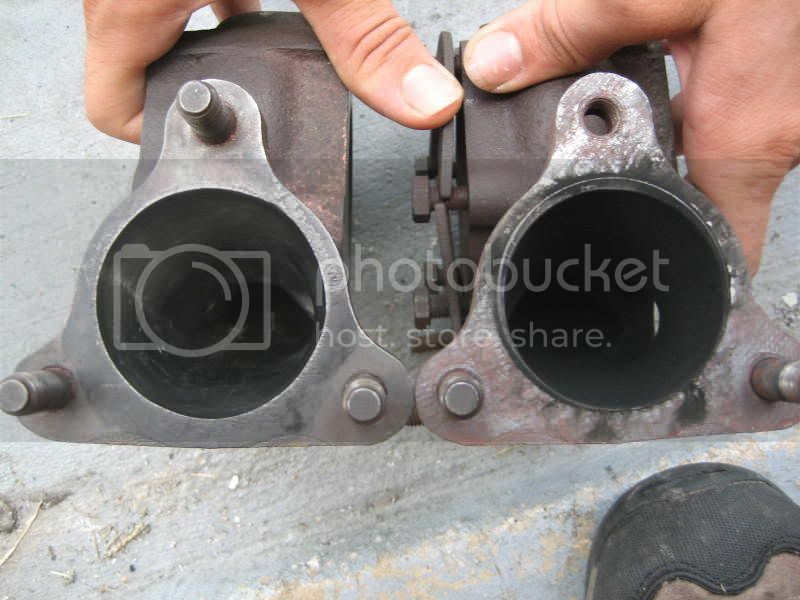 Was it bigger or smaller then the exhaust manifold? I'm taking the stock turbo off in a couple of weeks, I'll take a picture of the gasket on the manifold and show you how it looks. Here ya go. Same copper gasket in the earlier pictures in this thread. what does the turbo side look like?